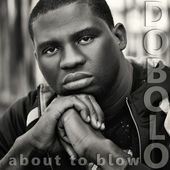 Dobolo’s able to create a very tropical sort of rap / R&B. Thick bass lines and smooth, Akon and Sean Kingston-inspired vocals make for a hooky, catchy experience. The backing beat works here; it fades a bit into the periphery when Dobolo is vocalizing and moves into a more intense role when Dobolo steps back. A unique, infectious sound is de rigeur for About To Blow, while the track itself is varied enough to keep fans listening in for the next few months. This sunny sort of track is the perfect cure for the cold winter months in the midwest; here’s to hoping that Dobolo gains radio rotation with this fun new release.